my 56 Nomad is a strictly drag race car. several ago, I had a new core put on my original tanks. I race at Vegas, where it is hot most of the time. the new core never cooled down, even with my stock class 265 [currently a 11-1 327]. so it is time for something different. my choice,is an aluuuuminium stock type replacement or a cross flow. I have the battery in front of the radiator on the pass side. as I do not want the battery inside the car. I also want the radiator on the front of the cross bar, so I can use a puller fan [pusher now]. so guys....which cools better, a vertical or cross flow. tube size and fin count and core being the same square inch area. with a cross flow, I can go wider, as a total remodel is going to be required in either style. what do I look for in tube size, number of tubes and fin count? also I see that Jeg's has a double pass cross flow. thoughts on that style. JMHO....However, if you install a downflow aluminum Cold Case radiator , you will not need a crossflow....Got one in mine with a ZZ4...Never runs over 175*. 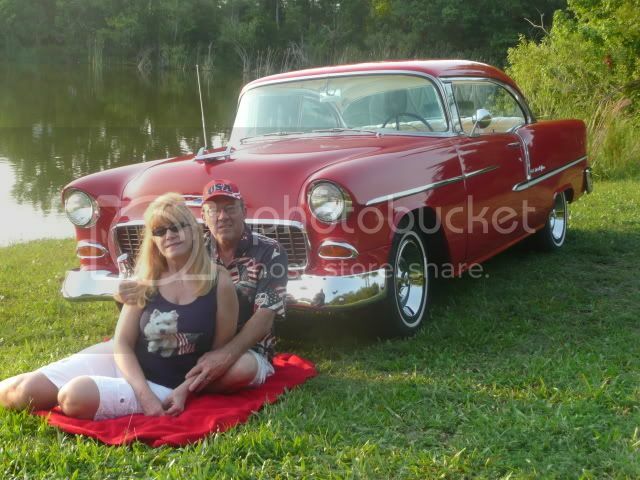 I also have a down flow Be Cool aluminum radiator in my 57 which has a warmed up 327 with A/C and more. I use dual Spal fans with the radiator mounted in the six cylinder position. I have driven this car on many hot road trips in the heat of the summer with no issues.